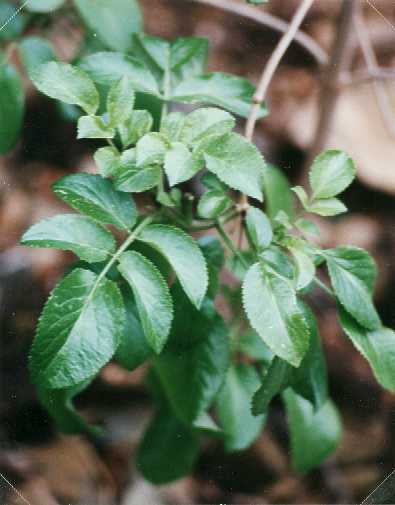 Notes: A native shrub or tree, the branches and stems have a soft core which allows them to be hollowed-out easily. They were used by the Native Americans to make arrow shafts and flutes. 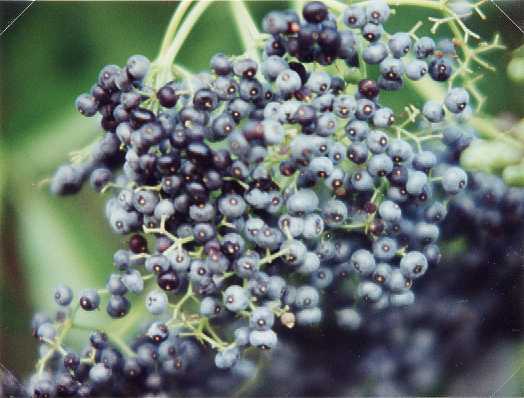 The ripe berries are edible and are used to make jams and wine. It has compound leaves, with five leaflets in each group. Can reach 20 feet.